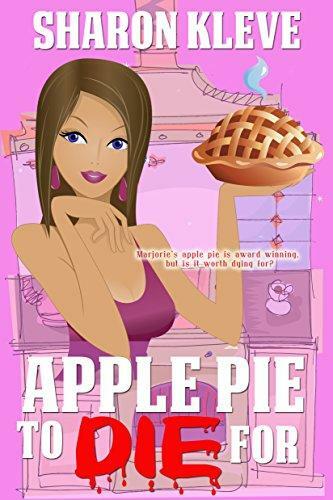 All Marjorie Vanhorn desires is to make people happy with her award-winning pies—and to be kissed by the delectable county medical examiner, Anderson Swift. Marjorie’s nemesis is Eloise, the newly appointed county fair organizer, she is blackmailing contestants to get their award-winning recipes. She really wants Marjorie’s apple pie recipe, and if she doesn’t get it, she is willing do whatever it takes to stop Marjorie from winning more blue ribbons. After being released, jailbird Vega disappears. Kelli and her son Joey are finally free of her physically abusive husband. Nobody misses him, not even his parents. When Vance, Vega’s twin brother is released from prison, he heads for Marjorie's house where he suspects he might find his brother...and a little fun. Marjorie has no desire to be Vance’s fun.